A leading trainer, seminar leader and motivational speaker, Puneet Jain is passionate about helping people reach their highest potential and become their best selves. He is also a Tarot Card Reader and uses those divine cards to help people find answers to problems in their life. One can look forward to insights on their career progress, marriages, relationships, health etc., via a Tarot Card reading. 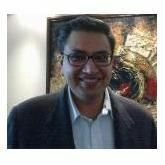 Puneet is also a driving force behind improving personal and organisational performances.He brings with me extensive experience from the corporate world and is now considered amongst the new class of dynamic “Management Trainers”. Puneet is dedicated to facilitating people in improving their lives. He takes pride in training and believes that people sometimes limit their progress by building barriers and self-defeating prophecies. He assists them in successfully overcoming their mental and spiritual blocks. He has helped many in laying their foundations of a new path. Over the course of years, he has gained tremendous experience in training top professionals and career people, helping them to have the confidence to address conferences, board meetings and make television appearances.His forte is in Personality Development and Soft Skills.